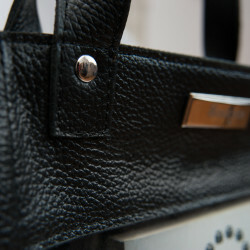 We know you are looking for that light & practical bag, that you can wear every day and with every outfit! 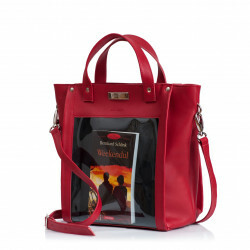 If you like your style relaxed and casual, Bookletta SAFARI is the perfect bag for you. 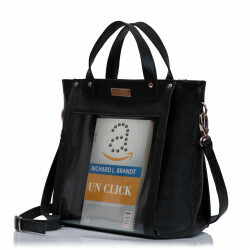 Bookletta SAFARI is very light due to the fact that it has no lining, you can touch the inside of the soft leather, so it is perfect for women with back problems or those who hate carrying heavy bags around. 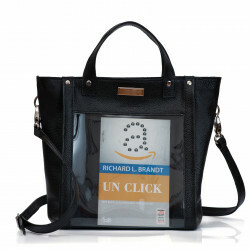 It is made from natural italian leather and it has a transparent book pocket made from highly resistant plastic foil. The bag is medium sized with enugh space for your personal items on the inside, in the back of the book pocket. 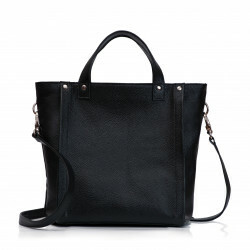 It has short hand straps and a long shoulder strap that allows you to wear it cross-shoulder and therefore it is perfect for young mothers who need to have their hands free on the street. Also, it is suitable for travelling due to the fact that it is soft and you can easily put it inside your troller. The book is in english and it will be randomly chosen for you.